Your family can experience the majesty of wild elephant herds within the rolling expanses of the Namibian Desert! This award-winning volunteering project gives your family a once in a lifetime chance to bond on a unique adventure in the beautiful Namib Desert! Help to protect the population of Namibian desert elephants and to ensure safety and security for the local communities living alongside these herds. Namibia’s desert elephants are facing serious threats both nationally and internationally. They are one of only two populations of elephants living in a desert environment and are facing threat from human-wildlife conflict and decreasing living space due to many humans and their livestock settling into their once vast ranges. Many of these magnificent creatures used to roam through most of western Namibia but sadly due to rampant poaching, especially in the 1990's, their numbers dropped to as low as 300. Since then, protected by new Namibian law and a host of conservation organisations, they have once again expanded their range. Though because of this, they are increasingly encountering the Damara and Herero people who have settled into the arid homelands of northwest Namibia and unfortunately, this is where human-wildlife conflict arises. Your family could play a vital role in helping the project achieve its goals through patrols, elephant tracking and working with the local school. It is an incredible learning experience for any young, budding conservationists! 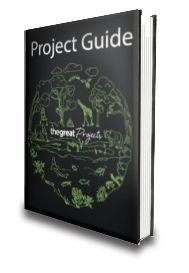 This project will give you and your children a unique view of animal conservation and the opportunity to have a positive impact and lasting effect on the whole community (including the elephants)! One thing is for certain, this holiday is one your family will never forget! By tracking the various herds of elephants that are resident here your family will help to record information such as new births, deaths, and patterns of mating. The elephant’s movements are recorded through their GPS position which are then plotted onto an online map. This information is crucial for the in-country team to know where the elephants are, and therefore where protection walls need to be built. This is an extremely important task as this is the only organisation currently providing the data to the government! While tracking the elephants you may come across some of the regions other wildlife such as giraffe, zebra and rare black rhino which is a truly incredible experience. When you head out on elephant patrol you will have two different aims. The first is to have a presence in the area where elephants are under threat and to check that all herds are together and without injury. The second is to begin compiling identification files on “new” elephant herds in the northern reaches of the area, as these elephants are causing a lot of damage here. On each of these patrols, your family will spend time talking to local farmers whose lives have been affected by the elephants. This will help you and your family see the importance of this conservation work and how it makes a difference to the elephants and the people living alongside them. This is one of the most rewarding activities your family will partake in on this project! During your time at the school, your children will have the chance to become fully immersed in the local culture. Not only will they assist in teaching the local youngsters, but they will also help with any building projects that are taking place at the school. This is a great opportunity for your children to take part in a cultural exchange with the local children, both learning from one another. During your trip, you will also have the chance to explore the area around base camp and enjoy a nature walk with one of the project coordinators. This will give everyone a chance to see a side of the beautiful Namib desert that they may not have done previously. The knowledgeable member of staff will give you a lesson on surviving in the bush! From your accommodation, you will transfer to camp (a 4-hour drive) on the banks of the Ugab River. You will arrive in camp, unpack and settle in, then in the evening, a member of the team will give the group a briefing about the week ahead and any health and safety issues out in the bush. In the morning, you will venture out to Okongue Primary School to take part in an assembly and meet the teachers and pupils! Volunteers help out with maintenance tasks before joining lessons and teaching the students! At the hottest part of the day, you'll have a long lunch break, and will begin work again around 2pm. You'll finish the afternoon activities around 4.30pm and will head back to camp for dinner. Following the same format as the day before, your family will spend these days at the school project site, helping out with building and teaching activities! On the last day at the School, you will have a small celebration and head back to base camp to relax after a job well done! Today the group have a day to relax and explore the area surrounding base-camp. A member of the in-country team will take those who are interested on a nature walk, informing them about different survival skills and edible plants from the desert! In the evening, the facilitator will give you a briefing on the upcoming elephant patrols. Today, you will pack up the patrol vehicles and head out early. During the patrol, you will sleep under the stars listening to the incredible sounds of the desert - an amazing experience for all! Keep your ears peeled for the elephants as well as a whole host of other wildlife species, as sleeping out in the African bush is an experience that doesn't come around too often. It's another patrol day so you will be back out searching for the elephants but this time by foot! After learning about the local wildlife by the guide, you may get to walk down to the local river and partake in a fishing competition! Today you will remain on patrol, observing elephants in the Ugab wetlands, tracking them on foot through the desert and taking a trip out on the game drive trucks! This is the last day of patrols. Around lunchtime, the group will head back to base camp for yet another wonderful shower in the rocks, a final night around the fire and sleep in the tree house! Unfortunately it is time to say your goodbyes, and after a leisurely breakfast you will pack up and head back to Swakopmund on the Skeleton Coast where you'll make your way home or commence your onward travel plans. Accurate data on desert elephant numbers and movements, the ability to identify each elephant, and knowledge of individual elephant personalities are paramount to effective elephant conservation management in Namibia. Data on desert elephant numbers are incredibly important and this project is the only organisation providing accurate figures to the government on the elephants in this area! In their search for water, desert elephants can cause extensive damage to valuable water sources, often rendering communities in Namibia without access to these sources for quite some time. The volunteers partaking in this project provide valuable manpower for the construction of protection-walls and also generate funding for twice-monthly patrols of the area where the volunteer groups assist staff monitoring the elephants and walls built previously. If you're anything like us, you probably spend much of your time daydreaming about your next 'great escape' - but instead of taking a typical holiday, why not consider a volunteer experience? Here at The Great Projects, we believe that there's a better way to holiday, so read on to discover why a volunteer adventure could be the best way to spend your time away. A Look Back At 2016 On The Desert Elephants In Namibia Project! 2016 was a very busy year for everyone involved with the Desert Elephants in Namibia Project, and we wanted to take a look at exactly what they had been getting up to last year! World Elephant Day 2016 - 100 Killed Each Day? It's World Elephant Day 2016 and it is time we all decided to help these beautiful animals. During this project, your family will stay in two different forms of accommodation. When you are working at the school you will be located at base camp, here you will be staying on a platform which is found up an Ana tree! At base camp, there are toilets and showers with hot water so your time spent in this unforgettable location will certainly be comfortable. There are also two elephant drinking dams on site, so you may be joined by a thirsty elephant or two! During patrol week you will be sleeping beneath the stars, with the location being dependent on the location of the elephants being tracked. You will be provided with a bed-roll (including a mattress), but you will need to bring your own sleeping bag and pillow. Camps are very basic during the patrol period with no washing facilities and a simple long-drop toilet, so be prepared to go back to basics. All meals and beverages are included and they are often cooked out in the open at the campsites. Every day a family will be on kitchen duty together which involves waking up first to make the morning coffee, tea, and breakfast, as well as the sandwiches for lunch and the big dinner in the evening. Each evening the group prepares a large healthy meal over the fire, ranging from roast chicken, spaghetti bolognese, lamb tagine and Thai curry to name a few! This project can cater for vegetarians as well, but please let us know if you require this option upon booking. Though there will obviously be an understanding that there will be children working here, the construction work undertaken on this project does involve physical labour, often in high temperatures, and so requires a moderately high level of fitness. Furthermore, no specific skills or experience are required, just commitment to the project and its aims. The vaccinations required will depend on the medical history of each family member. We recommend that you consult with your GP regarding your families immunisation needs. In conjunction with this, we would also recommend that you check Fit for Travel’s website. The easiest way to travel is by air, to either Windhoek International airport (must be by 12 noon) or Johannesburg airport, and then take a short flight from to Walvis Bay airport arriving the day before the project start date where you will spend the night. You will be met at the airport and taken to Desert Sky in Swakopmund for the night and this transfer cost will depend on which airport you choose to fly into (N$480 from Windhoek, N$200 from Walvis Bay). 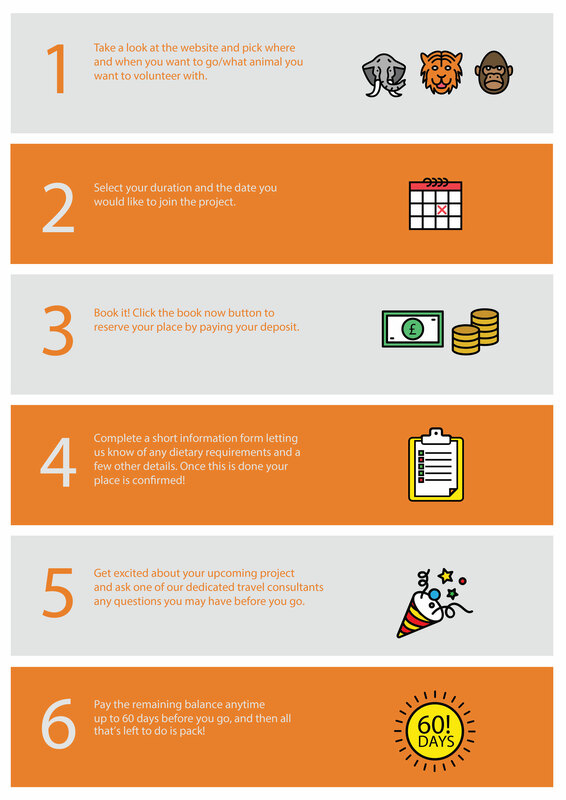 You will then be met at 11am on the start date of your project and transferred to the project site. If you are staying at other accommodation in Swakopmund then simply inform us of where you are staying and the facilitator will pick you up from there. If you arrive early and stay in the dedicated dormitory room at Desert Sky it will cost N$200 or there are single and double rooms available for N$450 (single rooms), $600 (double with shared bathrooms) or $650 (doubles with private bathrooms) respectively. The currency in Namibia is the Namibian Dollar, but South African Rand is also accepted. The exchange rate is around 1 NAD = 0.06 GBP, 0.1 USD, 0.07 EUR. Please note exchange rates are subject to change, and for the most up to date exchange rate look here. A Wonderful Dream From Which You Hope Never To Wake...With Gratitude, Admiration And Respect, THANK YOU! Hard to believe that a little over a week ago, we were huddled up in our sleeping bags at base camp watching the incredible star show that is the Namibian night sky! Enjoying this view while trying to digest the previous 9 days of our time spent building a 'hopefully' elephant proof fence; sharing work, meals and kitchen duties with new friends and families from far away homes; going on patrol in search of the desert elephants; hearing and seeing new sights and sounds along with the lessons learned from our intrepid, soulful and knowledgable guide Hendrick was a bit "heady" to say the least! Back at home now and gradually (or not so gradually) re-entering our daily lives and routines, it all seems like a wonderful dream from which you hope never to wake in fear of forgetting it all. Such are the thoughts and feelings that won't leave me alone. You, Johannes, Hendrick, Mateus, Adolf and Barend along with the desert elephants, the children at the primary school and the rugged and awesome natural beauty of Namibia and its people, along with your collective passion and commitment to maintain a sense of balance between it all..... is a part of us now, and we are infinitely richer in mind, body and spirit for it. With gratitude, admiration and respect, thank you! A Very Easy '5 Stars' All Round! The trip was fantastic, far exceeding expectations, a very easy 5 stars all round. Rachel, Johannes, Hendrick, Mateus & the rest of the team are amazing, very organised, knowledgeable, great company and really care about their cause and the volunteers. Although the build work was hard, it was very satisfying and the children were made to feel fully involved with tasks that were both useful and suited to their abilities. Tracking the elephants, sleeping under the stars and watching these gentle, special animals in their natural habitat was an experience that will always remain with us - a real privilege.